"The Fatal Impulse" (Peter) what else could it be? John Williams (John) For his soothing voice under the melody of Stranger in Paradise. Larry Rapchak (Peter & John) with special thanks to everyone who took the time to post. Honorable Mentions: One Step Beyond, The Twilight Zone, Alfred Hitchcock Presents, Night Gallery. As we've already mentioned, you'll be able to follow us as we delve into The Outer Limits beginning on 1/1/11. What a great way to start the new year. Bookmark the new blog URL, as We Are Controlling Transmission. Walker, with other THRILLER commentators lying in the gutter, "Is this the end of THRILLER?" How will we ever survive a month and a half with no THRILLER fix? The only thing you guys didn't get us to vote on was, surprisingly - Best Photography! Well, it's been a mightily entertaining ride. Thanks to John and Peter and to Gary and David and Steve for the fantastically enjoyable commentaries. And to Walker, Larry, Sam, Rockfish and all the other guys who've made this such an enjoyable and civilised experience. I want to see you over at the other blog on 1/1/11! I want to thank Peter and John for providing us Thriller junkies a place to hang out and expound on a daily basis; it has really been enjoyable--even when I was ready to kick in the TV AND computer screens simultaneously (one with each foot--and they're on different floors of the house). Thanks for the nice comments on my comments, too. What's really cool for me is to look back---to the early 80's, when I truly thought that "Thriller" as a commodity was dead and would never be heard from again. When a suburban Chicago UHF station decided to take a gamble on it (in 1985), I was able to tape everything that I wanted for my own use. I also was able to snag a 16mm copy of "Pigeons" and "Waxworks" in '83, from a Chicago-area collector who happened to be offering them for sale. But that was IT---and there it might have ended. My friendship with DJS was the one avenue that I could turn to that might possibly influence the fortunes of THRILLER; after Dave's exhaustive work and advocacy on behalf of the Outer Limits (which clearly kept OL fandom organized and excited) I suggested that he focus his laser-like skills on Thriller, which seemed an ideal match with his own interests, one which might help to kindle interest in the series. So--however it all happened---here we all are, basking in the reality of the new Image set, plus a terrifc, high-intensity blogo-manic experience that will hopefully continue to serve as a support site for Thriller fans, old and new alike. OUTER LIMITS (! ?----) Holy Cow! Now THERE"S an undertaking! THRILLER is comparitively primitive; you assess the plot, comment on the writing, the cast, the visual aspects, etc---and it's all rather "tidy". OL, on the other hand, is so damned ARTSY--so MEANINGFUL.....I love it--don't get me wrong--- but with the high quality of commentary and insight that ATAD has seen -- including guys like Walker M., Bobby J, Rockfish, etc etc.. it might take DAYS for us to spin out all of our jabber on the philosophical implications of a single episode, before touching the rest of the show. Add to this the fact that Thriller, in a way, NEEDS (or NEEDED) all of our advocacy; OL doesn't--at least nowhere as much--largely due to the efforts of DJS and his very authorative tome on the subject. In other words, when it comes to OL, it's basically all been said...and very well, I might add. So I find the prospect of presuming to offer anything substantial on an OL site a tad daunting. Still, we'll see where it goes. I'm glad that youse guys are willing to keep things alive via the OL project, and I hope I'll have the time to be a part of it. But this one sure was fun. Terrific venture! Congrats to Peter and John and this cast of peerless performers. To Bobby J., Larry, Gary, David, Steve and everyone, a fantastic discussion day in and day out. I'll be over to OL with bells on! Watching the entire THRILLER series over the past weeks has provided a great opportunity to re-evalute a lot of the individual shows. I actually come away with a HIGHER opinion of some of the crime shows (indeed, I was sometimes the lone supportive voice for a couple of them here on the blog), and that's a good thing. But also very cool is the fact that ATAD ultimately began to function as a real FORUM, which allowed the reader to take in the insights and opinions of some of the truly learned people in the industry, as well as other admirers of the series. For that, it's been a TON of time well spent. 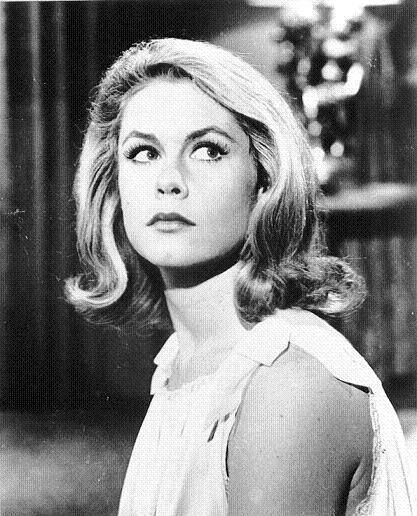 I also found myself approaching each episode from as FRESH a perspective as possible, to the point that an episode like "La Strega", whose popularity I've always attributed to young American boys' emerging/growing/expanding/swelling interest in the topography of Italy, now comes across as a legitimately powerful show (despite the wretched dance sequence). Also, a wonderful episode that I've never paid attention to 'til now (except for its great prologue), "An Attractive Family", has joined my list of all-time favorites...simply because I was FORCED to sit and watch it carefully...and thus, to discover how good it really is. Before I sign off: You know from my comments how valuable I find "Thriller" as a showcase for that great stable of actors that was active during its era; thankfully, their legacy is now preserved for generations to come. So I'd like to mention the ones that I feel represent something truly special (yes, I know Boris was awarded our top prize for "Dr Markesan"...and it's great to give him the ultimate tip-of-the-hat. But the role demanded very little of him; I thought many of his prologue intros were far more interesting). RIP TORN (Purple Room)- a supremely confident, young renegade actor at his best. MURRAY MATHESON (Poisoner)- Absolutely "Poised"
HENRY DANIELL (Well of Doom) - "Tour-de-Force" defined. OSCAR HOMOLKA (Waxworks)- total command of the screen, from charming and wily to unhinged. KEN RENARD (Pigeons)- for going all-out in a bizarre, nightmarish, and fascinating scene. I'd like to remind everyone don't forget that Peter and John also are the editors and writers on the Bare Bones E-zine, which discusses the great old magazines that we all remember. Great recap and recalibration after a ultra-marathon of couch-potatoeism, guys (and gals)! Any and all disappointments that I stubbed my toe against (what, no commentary track for The Devil's Ticket? Why do I keep hearing Stevens' blop-ka-blahp! soundtrack when I enter the shower?) truly dissolved in the corner after getting the opportunity to unearth what was an unknown treasure as part of a community of thriller consumers-Vuzohmbies... I couldn't praise our guides enough, even though I found myself exasperated more than a few times at their crackling sharp but oh-so-off the mark points of view (just kiddin!)... 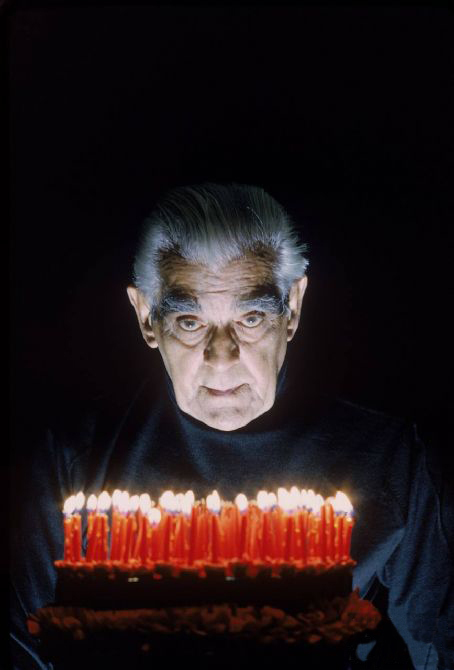 Glad to hear this will continue with OL, but I'm gonna miss the ever-gracious and twinkle-in-his eye craftiness of our true host on this journey, Mr. Karloff. Top of the world, Bo! I made a mistake in voting and I'd like to correct that here. I was thinking that since I hadn't listened to all the commentaries I wasn't qualified to cast a vote in that category, but then I realized lots of people voted without listening to all the commentaries. Therefore, I'd like to officially cast my vote for John & Peter's Fatal Impulse commentary as my Favorite Thriller Commentary (yeah, I know it's a little late and doesn't really count now, sorry about that). Ok, so it was the only commentary I heard. I'm sure the others are as good as you all say, but theirs is probably the best commentary ever on Thriller. Actually, after hearing Lucy Chase Williams describe the difficulties of recording commentary, I think J&P made it look pretty easy their first time out, especially with the challenge of recording from separate locations. I'm hoping they will think about doing another with their Companion for OL in 2011, but they probably won't unless they get some feedback from somebody besides me, because I'm sure they won't go to all the effort if only 2 people are going to listen. Believe it or not, they are even funnier than they are here. The fact that you will actually enjoy watching Fatal Impulse with them really says it all, does it not? Don't be afraid of the Impulse--our hosts will guide you safely through. By the way, am I sensing some payback for suggesting the Favorite Thriller Stud category? Because really, John, how can John Williams be your favorite Thriller Stud? What did he do in Thriller? Another cheap excuse to post that clip, that's what that is. I'm hoping every Thriller fan will be sending you 150 Music Masterpieces on vinyl from amazon this Christmas. We must cure you of your obsession before 1/1/11. I'm shocked, SHOCKED, at the implication I included John Williams for such nefarious means. Go back and revisit "Yours Truly, Jack the Ripper" before you write off JW completely. I will say my runner up was Murray Matheson in "The Poisoner"
Oops! I am properly chastised. I still think it was just an excuse to repost that clip, however. Thinking ahead to THE OUTER LIMITS... Granted, good old DJS has covered just about every fun fact and background story connected to the series, combined with deft episode analysis, etc. But even so, we all have our favorite OLs, and our specific reasons for loving these shows. Don't be concerned, Larry... your insights and opinions will make for excellent reading, as always. And think of all the fun we'll have with those "top ten" lists... The Top 10 Season One Shows, Season Two, both seasons combined, Top 10 Bears, Favorite Robert Culp performance... We can even compare OL shows with their STAR TREK or TWILIGHT ZONE "cousins"... "Fun and Games" vs. "Arena," or "The Sixth Finger" vs. "Where No Man Has Gone Before." So really, no problem here! The currents DVDs are indeed sub-par, but good enough for our review purposes. How our hosts are going to provide the two unaired pilots ("Please Stand By" and "The Unknown") for everyone's evaluation is another story. Had an original 16mm copy of "PSB" ages ago; David hoped to include my copy on the last DVD release, but it was long gone. Also worth reviewing: INCUBUS and that elusive pilot for Stefano's THE HAUNTED, starring Martin Landau (our friend Bellero as a ghost-buster!) and boasting mostly unseen (at least by Americans) cinematography by Conrad Hall. Since youse (or is it "yous"?) guys liked John Anderson in Thriller's "Innocent Bystanders", start counting the days 'til OL's "Nightmare." I do vote for Peter and John doing commentary on the wacky Tumbleweed Show. Larry R, fine list of performances to which I shall only add Terence De Marney's unforgettable (like it or not) mad, quirky, unpredictable little turn in "The Return of Andrew Bentley". Re: John Anderson--just saw him in 2 different westerns; as a gleefully insane almost-over-the-top temperence crusader, and in a moving performance as a aging lawman. That man could do anything. Gary, I think most self respecting TOL fans will have 'Incubus' but where in tarnation will they view 'The Haunted'. I was searching for it via torrents! Has it been released on DVD, or on "i-offer"? Gary, the only other person I know who's seen THE HAUNTED, aka THE GHOST OF SIERRA DE COBRE, besides Martin Landau is.....DJS. He'll have to spill the beans on that one! I like INCUBUS quite a bit--it really is like an alternate reality OL episode. "Man in the Middle" performance merits recognition on ATAD's final wrap-up. Believe me, I've been trying to figure out how I got talked into doing it in the first place. What could I possibly say about OL that hasn't been said by our big brother? Nothing, nothing at all. I'd have never agreed to it if not for the blessing of DJS. We've got a few surprises up our sleeves that may make the experience unique. Of course, we couldn't do it without all of you. For those who mentioned THE TWILIGHT ZONE and NIGHT GALLERY - it appears some guys in the UK have staked out that territory, doing podcast reviews of BOTH shows, so they'll be busy for awhile! Thanks for that link. Robert H. I'll have to dowload a few of these and check them out. I love podcasts! Loved Jerry Goldsmith's endearing soundtrack for Mr. George. but my vote goes to The Guilty Men, its neither thriller or suspenseful, it just seems to be a no vote on narcotics trading. The Big Blackout-just a mess, not interesting, tried watching it twice, got a headache both time. Rose's Last Summer- not a terrible idea, but badly executed, with poorly incorportated flashback scenes, its too tailored to its star, which is also a problem of The Big Blackout. The Ordeal of Dr. Cordeal- like an awful 50s scifi flick. on, with a very unsatisfying finale. Mark of the Hand-rediculous, weakly acted. 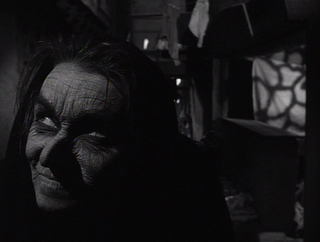 A Wig for Miss Devore-the worst overtly supernatural episode. Man in the Middle-poor episode, weak lead performance. Kolchak is in process. Thanks for your feedback on Thriller. I spent waaaay too much time on agonizing over my picks as well! Thanks for your comments and continued interest! Cool- I remember Horror in the Heights as my favorite episode. 2. Susan Oliver from Choose a Victim- ever since I saw her in the Star Trek pilot. 3. incredibly stacked girl in Late Date. 4. Lead actress in The Closed Cabinet. to the Thriller horror eps. Watching the second season, Messiah on Mott St. and Big Surprise were good, but most seem to end with an obvious pun about cannibalism, etc. Still would be a good one to do. Worst director award- surprisingly John Brahm- he only directed one episode out of 7 of so I even liked- An Attractive Family, and still thats not in my top 20. Runner-up-Mitchell Lieson, who directed two really crummy episodes. Best Director-Lupino or Hershel Daugherty-I have to think about that some more- only 1 turkey apiece. this seems to work best with anthology series- if its a series with continuing characters you pretty much like the series as a whole or not (ex. I couldn't take Batman, so I never checked out that blog). people who aren't into retro shows. how about doing all the 70s TVMs from Gerani's book? And so it ends. Quite often the blog seemed a bit too down on the show it seemed to celebrate. However, if I had been watching an episode a day (instead of taking 8 months), I think I would have sniped at some episodes, too. I think many of the crime shows may have taken a bruising simply because they weren't horror shows and were told at a pace typical of the period. Still, ATAD will lessen one's patience. Glad to see the comics were finally mentioned in the Thriller Visions post; I'm currently reading a few volumes. My hellish loop episode? "Child's Play." I went through the OL episodes at they came out on LaserDisc, then taped them from TNT's marathons on SuperVHS, and finally got the DVDs. Since I've got 4 boxes of unwatched discs to view (ranging from simple MOD discs to the mammoth Get Smart collection), I'll hold off going to the OLAD blog until a Blu-Ray release. As sure as my name is Rodney, you can be sure that would be a killer diller set. It took me a year to get through the Thriller series and my memory of episodes is such that I cant add to the votes. I do want to thank our wonderful blog hosts Peter and John and the many knowledgeable commentators for making my Thriller viewing experiencing an enriching and fun one! Throughout my visits to this blog, one thing kept popping back into my head when I would prepare to rate an episode. There are just over 7 billion inhabitants on this planet and only 3 would rate The Guilty Men 3 Karloffs. What are the odds that two of them would write a Thriller blog together? I see that you have continued with some interesting blogs that I would like to check out. Despite reading many praises of Outer Limits I never got a chance to check it out. The box set is definitely on my wish list. I vaguely remember seeing an episode or two of Kolchak when I was a little kid. That box set is also on my wish list. I can vividly recall the day I stumbled on to a Batman rerun back in a house my family lived in until 1973. When is the damn thing coming out on DVD? Unfortunately, as with many people, time is scarce for me, but I do hope to add to the other blogs. It just might be a year or two! Isn't it amazing that the three people on the planet with good sense made it to this blog? Kinda makes up for all the dupes who thought Pigeons was a classic. Congratulations for surviving the entire run. Your cap and gown are in the mail. Hope you do graduate to Outer Limits, which was a lot of fun. Thanks again for the blog and your continuing comments towards this late to the party guest. Count me as another stool pigeon who thought it a classic episode. When the cold winds come again this winter I will try and get the Outer Limits box to join the party. Once again, your blog really enhances the viewing experience. Glad you enjoyed working your way through Thriller with us, and we appreciate your leaving a trail of breadcrumbs behind for the next group that finds themselves in our little corner of cyberspace. I look forward to your thoughts on The Outer Limits - both the show AND the blog, as we really pulled out all the stops in trying to make that the end-all, be-all repository for information on that classic show. Thanks again for coming along for the ride! Hynek- I hope you do get to The Outer Limits and Kolchak. As for Batman...no comment is all I'll say. I recently finished the first season of Outer Limits- I watched the first 16 episodes in 2/3 days, then the second 16 in a 2 day period a couple of weeks later- I'm taking a break before the second season, which my local library doesn't even have. In comparing the quality of Thriller and The Outer Limits I'd put it this way: The quality of these anthology series is of course highly variable- I'd say that both Thriller and Outer Limits (the first season anyways) break like this- about 1/3 good to great episodes, 1/3 poor to awful episodes, and 1/3rd that are just o.k. I'd say the difference is at the top- there are several episodes- probably more- of Thriller that are truly outstanding televison, while very few if any of the Outer Limits reach that level in my opinion- there are no Pigeons from Hell, Hungry Mirror, Mr. George ect. in the Outer Limits cannon- while there are 5-6 first rate Outer Limits in the first season, each of those episodes has some sort of flaw (my favorite OL from the first season is probably The Sixth Finger, and I would struggle to put it in the top 10 of Thriller). This may be because scifi shows 'date' more clearly than universal horror themes, or a personal preference. Anyways see what you think. As for Kolchak, I liked that show more than most people, maybe because of the unifying thread of Darren McGavin's solid performance. I'd say more that 1/2 the Kolchak's are excellent, and all the other episodes (with the possible exception of UFO) are watchable because of him as well as the constant humor. Again see what you think and let us know! Love the blog! I use it all the time to enhance my viewing pleasure of Thriller. I find it is much better for a new fan to "cherry pick" the best episodes than to start at 1.1. Can you guys take that video off of this page? I cannot make it stop auto-playing. So an audible video plays every time I check in (even at work), and I have to scroll way down to find it and hit pause. Thanks. Searching his name on the blog turned up, perhaps through insufficient application, only a few of thos, and not all of them among the best. Sorry, don't see an obvious way to contact the webmaster so sorry of this post doesn't make sense here HOWEVER — a question: is there anywhere on the site (I'm not seeing anything obvious) that discusses at length why "Thriller" was canceled after such a short run? What were ratings like during the initial run of the show? Thanks. LOVE the discussion. Amazing fanboy work here guys, THANK YOU! I second that thanks for all you Thriller guys for maintaining this blog, not letting it die, keeping the spirit of the classic old series alive. It strikes me as strange that the show ran for only two seasons, though it's worth mentioning that the average yearly run for most series was around 39 episodes,--okay 38 for some, 36 for others, seldom under 30 except for syndicated shows that seemed to play by different rules episode number-wise (sic). 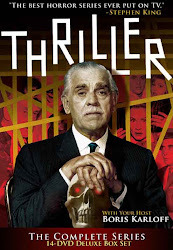 The two seasons of Thriller made it possible for the series to return again and again, like one of Dr. Markesan's zombies or a hollow watcher. It's like the show never really ends, never really grows old and tired. It's always a spry two season classic that still has a cult following in the 21st century.